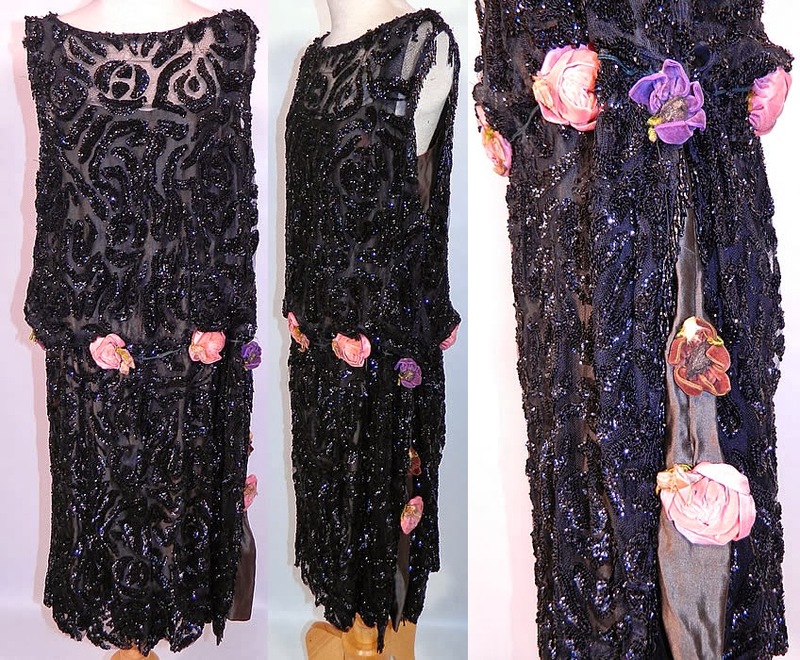 This vintage Art Deco black sequin beaded rosette flower France flapper dress dates from the 1920s. It is made of a black sheer net fabric covered with black sequin beading done in an Art Deco abstract flower pattern design. There are colorful pastel silk velvet rosette flower trim with gold metallic thread accents around the waist and side skirt. 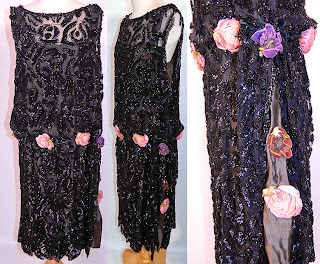 This fabulous flapper dress is loose fitting, with a drop waist, sleeveless, with black fringe beading around the armholes, snap closures along the side, is fully backed in black netting and has a black silk slip dress lining sewn inside. 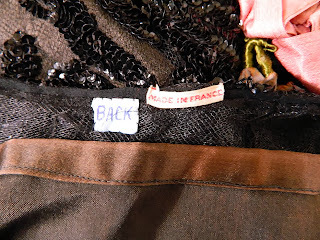 There is a "Made in France" label sewn inside. 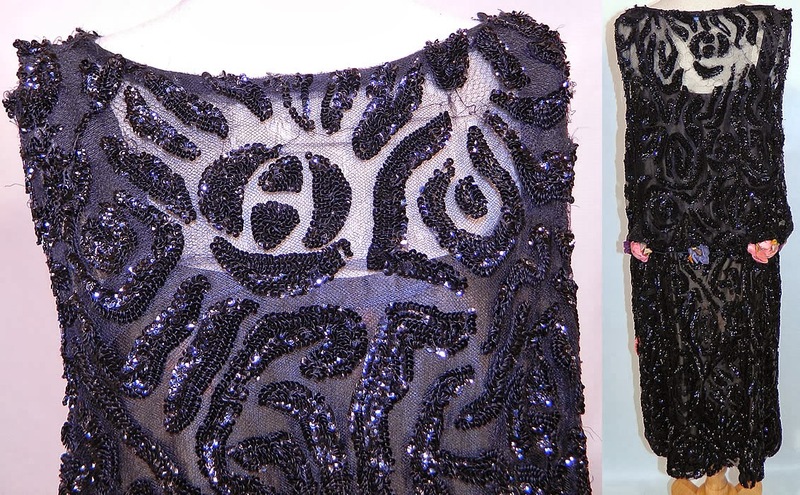 The dress measures 46 inches long, with 36 inch hips, a 36 inch waist and 36 inch bust. 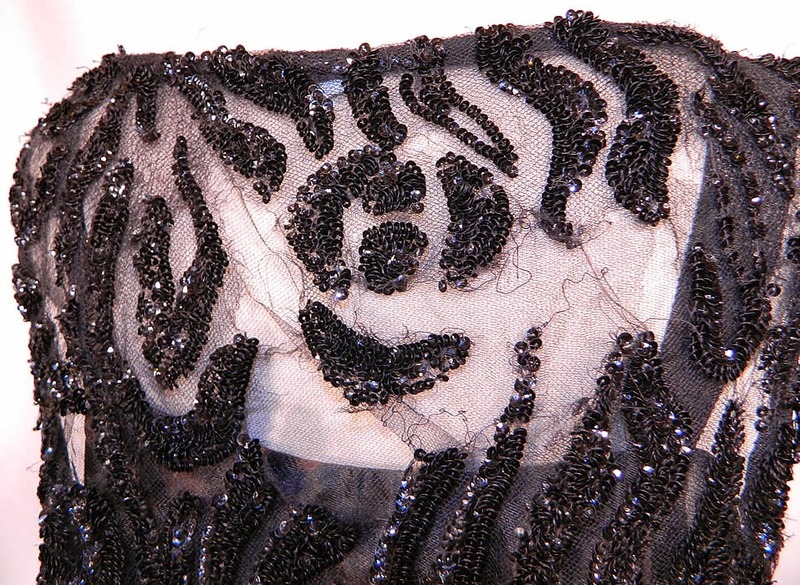 It is in as-is good condition, with some loose missing beading and several frayed holes on the outer netting front and back top (see close-ups). This is truly a wonderful piece of wearable Art Deco beaded textile art! I admit, I don't really like it - it's too busy to my eye - but I can see where it might look neat in a party setting.